On Sunday, October 16th from 11:30am - 2:00pm join World Yacht for their annual Beauty Brunch for The Cure, benefiting the Greater NYC Affiliate of Susan G. Komen for the Cure. World Yacht’s Princess will be transformed into a day spa haven with services offered and lovely giveaways! Guests will sip pink champagne, while feasting at the brunch buffet served on the main deck of the ship. 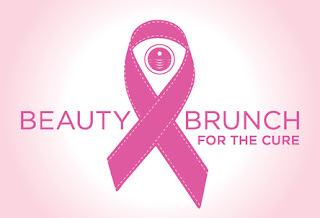 All services and treatments are free, but a donation is recommended, as 100% of the proceeds will be donated to Susan G. Komen. World Yacht will be kicking off the day with a $2,000 donation. Participants and gift bag donations include: Bliss 57, Vincent Longo, John Barrett Salon, Minx Nails, and many more! Tickets are $59 (plus taxes and fees) and can be purchased at World Yacht. Arrive early to begin and enjoy the beauty treatments! World Yacht. Pier 81, West 41st on the Hudson.